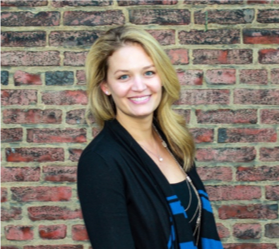 Kristen is a Social Impact Fellow for behavioral health for the Center for High Impact Philanthropy. Kristen joined CHIP in 2018 as a dynamic public health professional with experience in corporate philanthropic strategy development and program management, design, research, and evaluation. Kristen earned her B.A. in Politics from Princeton University and Master of Public Health from the University of Pennsylvania. She came to Penn looking to broaden her knowledge, skills, and expertise through diverse public health research and practice experiences. During her Masters program, Kristen led a wide-range of independent research projects, including program evaluations at a community health center in Haiti, a study of student food choices in Eleuthera, Bahamas, and a spatial analysis of newly licensed adolescent driving behavior and handheld phone use while driving in the Philadelphia area. Prior to pursuing her MPH, Kristen developed a passion for high impact social investment through her work developing health and environment related corporate social responsibility strategies and programs in Africa. Throughout her five years in this role, Kristen developed a strong background in health and environmental issues including behavioral and mental health, health systems strengthening, water and sanitation, and nutrition. In her career, Kristen strives to apply evidence based approaches to solve wicked problems at the intersection of health and economic development.